AzTeK is the electronic music production of Aaron Chegwidden. Started in 2010, AzTeK’s sound is about huge daytime bass mixed with grindy and tough leads, with just the right amount of percusion sprinkled over the top! 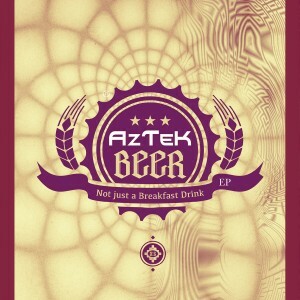 Creating a sound that can only be described as his own, AzTeK has pounded dancefloors up and down the east coast of Oz. Having played to crowds at festivals such as Cairns Winter Solstice 2010, Southern Oracle, Secret Sessions, Earthdance, Summer Psyfari and every where in between this is a sound not to be missed! AzTek is going to take you on the ride with him! Mastered at Sentient Sound Designs. Artwork by Clint Grierson. MP3 Download | FLAC Download | WAV Download · Download count: 8,353. Just purchased, well done my friend tough sound!! Øl er ikke udelukkende morgenbajer. Dejlig musik. Hope you enjoy the tunes!!!!!!! Hope you all enjoy my tunes :) feel free to share on Facebook or anywhere else !! Would love to dance to it live outdoors bro! this music makes no sense,it’s all over the place,crap samples and mental vocals,I would wig-out if I heard this on the dance floor.no flow.less beer more acid dude.